Small hand held flags, maximum A3 size are permitted. We reserve the right to ask you not to wave them if they obstruct the cameras. Eurovision: You Decide, is back! 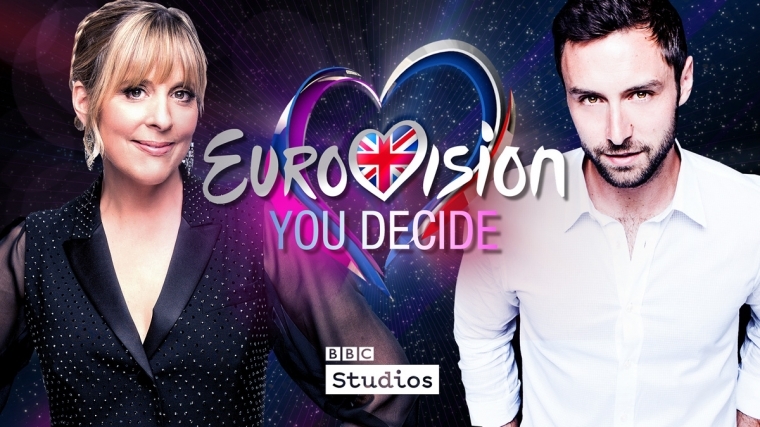 Coming to you live from the world-famous Brighton Dome, home of ABBA’s legendary 1974 Eurovision Song Contest win, this time self-confessed Eurovision superfan Mel Giedroyc is being joined by Eurovision Royalty – Mr Måns Zelmerlöw to co-host the show. Culminating a huge national song search for the Eurovision Song Contest, six shortlisted acts will be battling it out to be our next UK representative for the Eurovision Song Contest 2018, alongside some special guest performances. The six contestants will take to the stage in a bid to impress the viewers at home, with an expert panel close by to offer their thoughts on how the songs could look and sound on the stage in Lisbon, Portugal. The spotlight’s on and the stage is set, the countdown to find our next UK act has started – but who will win? You decide!